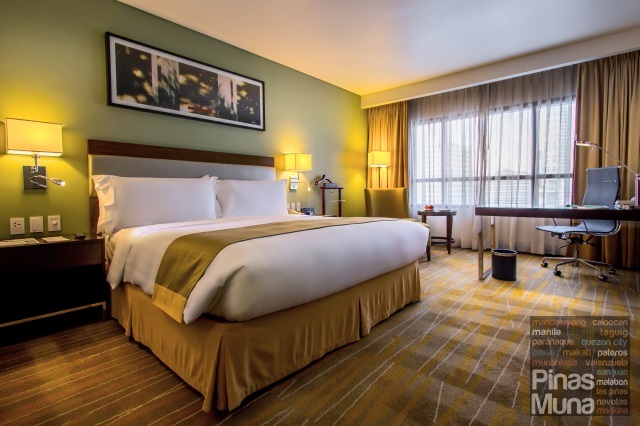 This whole month of May, the Sunday Brunch at Flavors Restaurant (Holiday Inn & Suites Makati) will be featuring some of the signature dishes of Chef Portia Baluyot of Rustic Mornings, a casual dining restaurant in Marikina City serving all-day breakfast. The Rustic Mornings Sunday Brunch will be available on all Sundays of May 2018. 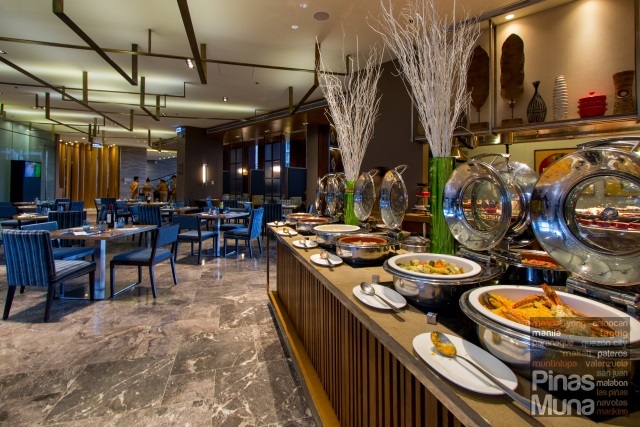 The buffet spread will include both the signature dishes of Rustic Mornings as well as the classic Filipino, South East Asian and Western dishes prepared by the chefs of Flavors Restaurant. The Japanese Station, Noodles Station,the Carving Station and the Dessert Station will also be included in the Sunday Brunch. The choices of dishes will slightly change every week. When we tried the Sunday Brunch, I was happy that they served my favorite Kare-Kare and Dinuguan. They were also serving Lechon Belly at the Carving Station. 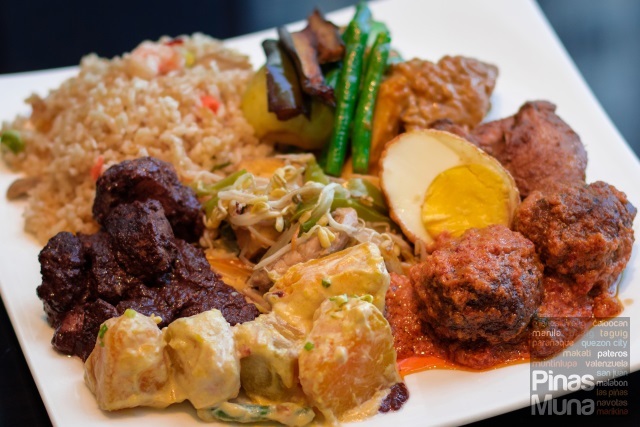 Other dishes prepared by the chefs of Flavors Restaurant were the Ginataang Kalabasa, Beansprouts with Tofu, Chicken and Egg Adobo, and Indonesian Nasi Goreng. 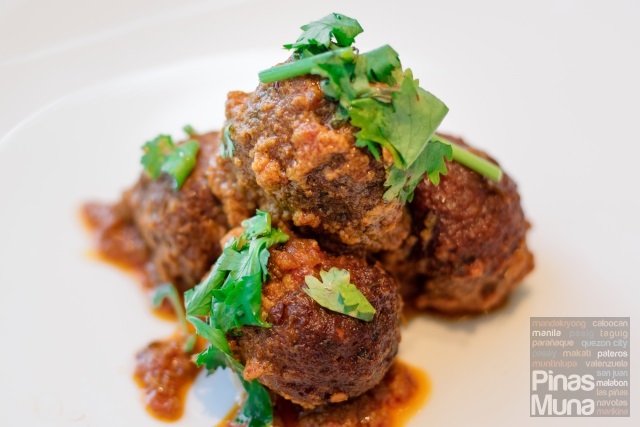 The Curry Kofta Balls is one of the must-try signature dishes of Rustic Mornings. These are perfect for meat-lovers and for those who are allergic to seafood. The rich tomato-based curry sauce was very flavorful and aromatic, making this dish perfect with steamed rice. Another must-try signature dish by Rustic Mornings is the Pinoy Burrito. This Filipino-inspired burrito is a great addition to the classic Filipino selections from the buffet. The dish consists of garlic rice and tinapa flaked wrapped in lumpia wrapper. 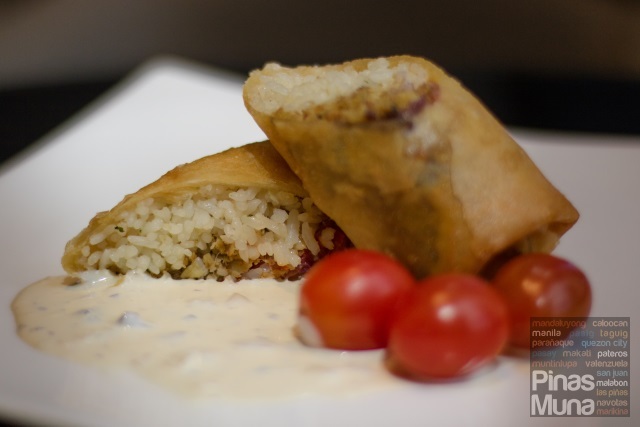 Served deep fried with cream sauce on the side, the Pinoy Burrito is already a complete breakfast meal on its own. 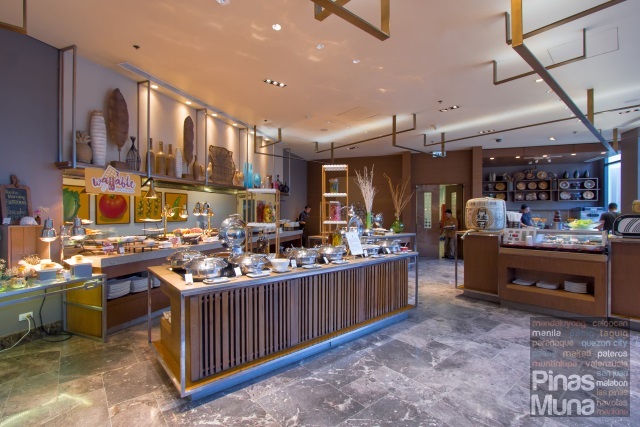 The Waffable Station is another Rustic Mornings concept which has been integrated into the Sunday Brunch. 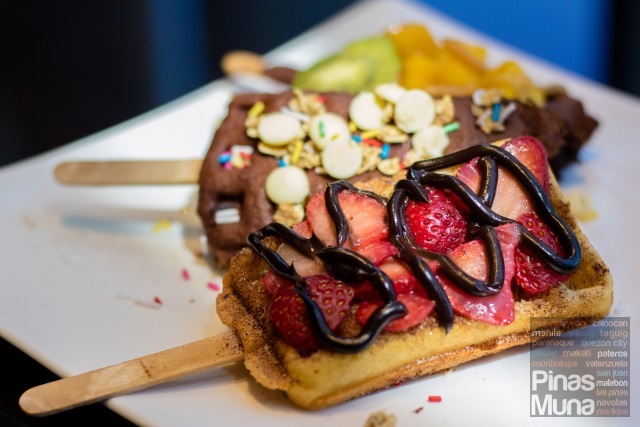 Waffles are presented in a creative manner wherein dining guests can be playful in creating their own version of the Waffable with choices of Churro Waffable, Brownie Waffable and Classic Waffle plus an assortment of toppings and syrups. The Smoothie Bowls by Rustic Mornings can very well serve as a refreshing dessert, a great way to end a hearty buffet without having a sugar rush. 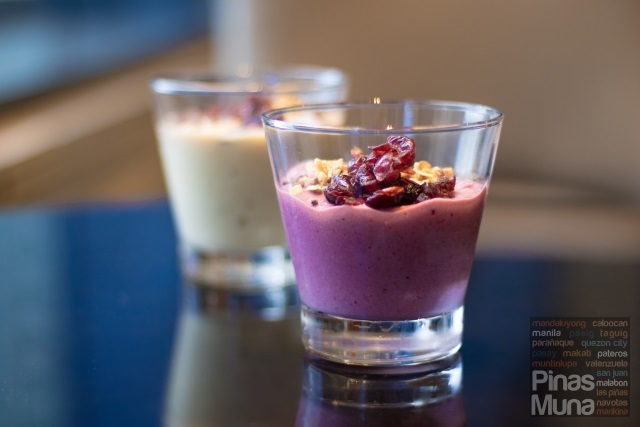 The Smoothie Bowls are available in two flavors, the Acai Bowl and the Apple Smoothie Oat. I enjoyed pairing these smoothies with fresh fruits on the side. 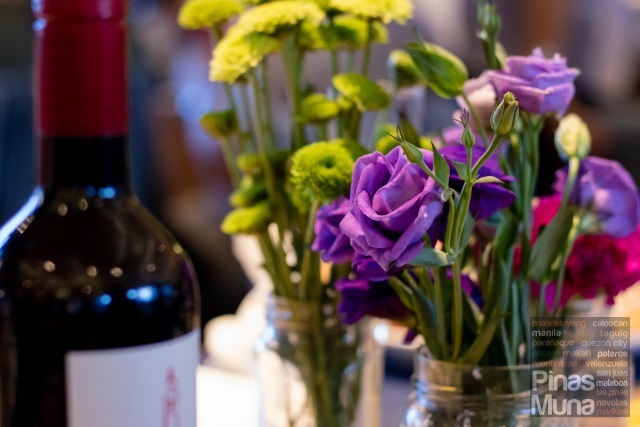 To make it even more spacial, guests dining at the Rustic Mornings Sunday Brunch also enjoy complimentary sparkling, white and red wine. The Rustic Mornings Sunday Brunch served from 11:30am to 2:30pm for only P1,900 nett per person. Reserve your table now by calling (02) 909-0888.